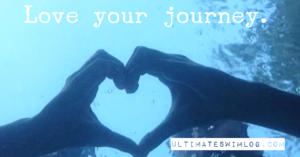 Home / Uncategorized / On Big Goals, fear of failure and your journey. 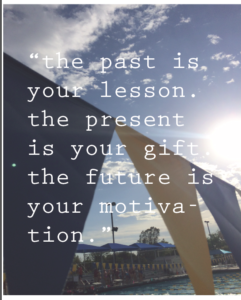 This past year, I set a huge, seemingly impossible goal for myself. It took a long time before I shared it with anyone. I was pretty sure it was going to be too much of a stretch to work…and who wants to make a grand announcement and then have everyone see you fail? And what if I worked really hard and it still didn’t happen? What if I failed? I thought about this a lot and realized something important. Even if I failed, I would still have the same amazing, beautiful and sometimes messy life…but in the process I would also learn so much about myself in trying to reach a BIG GOAL. Working through the doubt and fear would make me stronger and more resilient. It would make me learn new things, and face stuff that holds me back. Slowly, I began to tell people. I started with the easy ones–my mom, a close friend, my family. And then I told more people. And then I jumped off the deep end and told the world of Instagram and Facebook. And then something crazy started happening. Through the doubt, and through the uncertainty, the backside of my brain kept working on the GOAL . It was listening and working on ways to make the GOAL happen. I would wake up with new ideas. New ways to work out solutions. New ways to funnel my energy. And after months of talking, strategizing and working hard, I started to believe that it could happen. And it will. Truth be told, I have not quite reached my goal. But I will. I may still before the year is over. But at this stage, I am farther than I ever thought possible. So, what will change when the goal is achieved? Like any other BIG GOALS I’ve reached, actually nothing much changes at the moment IT happens. I will probably still be annoyingly over-excited and dramatically emotional about life. I will probably still exhibit some ADHD tendencies and probably still talk too much and continue to have half a dozen unfinished projects around the house. BUT. Something will have shifted. Almost imperceptive, but a shift none the less. I will be less afraid of failing and more willing to use both failures and successes as stepping stones towards new goals. I will have learned how important it is to have a support system from different areas of life that can encourage you in the journey, applaud victories no matter how small, and pick you up when you are down. I will be closer to reaching my fullest potential creatively and soulfully. I will be more me because of the work this goal required. I has made me wiser and stronger and more willing to reach out to others, take chances, and forced me to muster the courage to step out in faith and really dream. I hope you won’t be afraid to dream big, set goals, and even fail. I hope you continue on your journey and don’t stop until you have climbed your mountain. And when you arrive at the top of your mountain, I hope you look up and see that there are other mountains beckoning to you for a new joy-filled challenge. I am cheering you on. 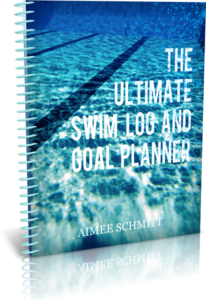 Aimee Schmitt, former USA Swimming National team member, is an author, speaker and avid believer in goal setting and creator of the G.O.A.L. 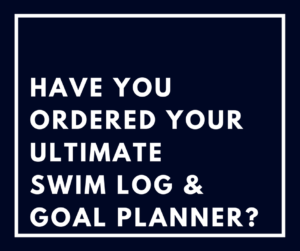 Strategies for swimming system.